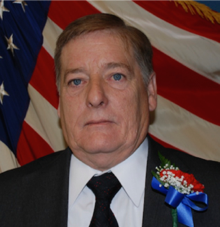 Keansburg Councilman James Cocuzza Sr.
James Cocuzza Sr. has served on the Borough Council as well as serving in Keansburg in many different capacities for decades. He is a two-time President of the Keansburg Board of Education, as well as a 32-year member and two-term Commissioner of the Keansburg Fire Department. James has also served on the Keansburg Housing Authority and the Keansburg Planning Board. A veteran of the Vietnam War, James has dedicated a majority of his life to the service of others. A lifelong resident of Keansburg, James lives here with his wife Angela Cocuzza and raised their three children here.